Polycarbonate diffuser. Cool white 6000K 240V AC 50Hz. 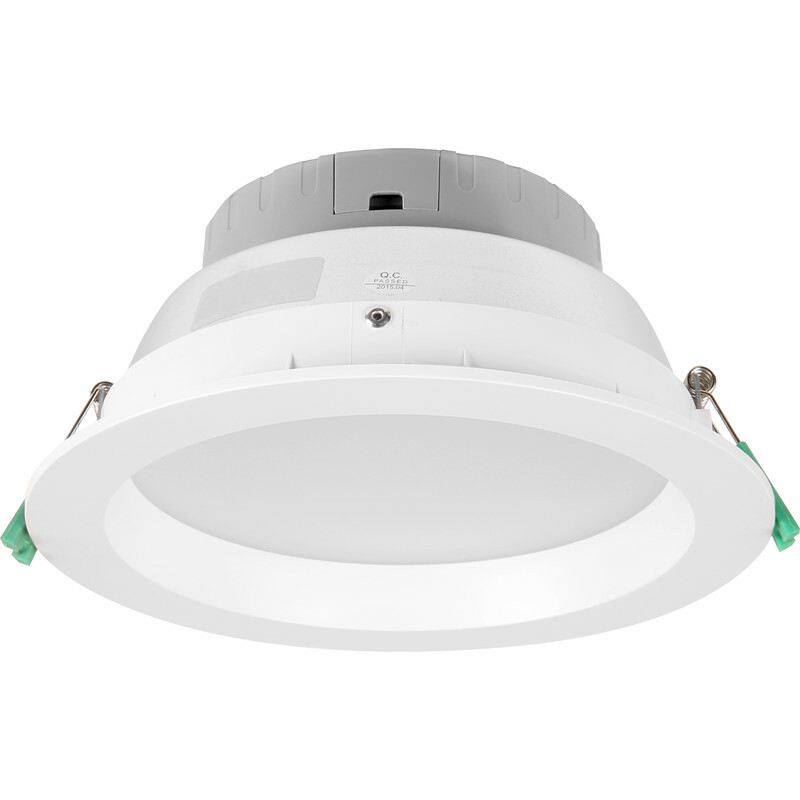 This luminaire contains a built-in non replaceable LED lamp of the energy class A. LED Round Panel Downlight 22W 1820lm is rated 4.9 out of 5 by 11. Rated 5 out of 5 by Bratachdubh from Does what it says on the tin... Bought 2 of these a year ago as replacements for previously installed lights which had failed after 2 years. Another 1 went recently, so purchased a further 2 of these on the assumption I'll lose another one soon. When it goes, I'll fit the other one and buy a further 2 as I assume the remaining 2 originals will go shortly... Fitted in 5 minutes with a minimum of fuss, looks good, good illumination. Excellent product. Rated 5 out of 5 by Lizzarddiver from Amazingly bright Installed 5 recently. Very easy install and super bright. Rated 5 out of 5 by groon from Well made, easy to fit, looks good I bought 3 of these for the kitchen, replacing old 1970s downlighters, and the transformation is dramatic. It's like midday in there now. Very pleased with how easy they are to wire up and fit. They appear to be well made and they look so much better than what they've replaced.